Glass-like carbon/silica composites were prepared from rice hull and phenolic resin. 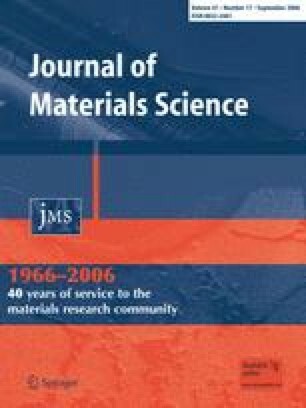 Monolithic composites were prepared by carbonizing green bodies made from phenolic resin and rice hull in nitrogen atmosphere at temperatures raging from 1173 K to 1773 K. The resultant composites consisted of approximately 70 mass% of glass-like carbon and 30 mass% of silica, the latter being originated from rice hull. The highest compressive strength, bending strength, and fracture toughness were 227 MPa, 50 MPa, and 0.80 MPam1/2, respectively. The composites did not show any detectable hygroscopic expansion upon immersing in water. The mechanical properties were not deteriorated up to 1573 K, as long as the silica maintained its amorphousness. A part of this work was supported by the Collaboration of Innovative Technology and Advanced Research in Evolutional Area, Ministry of Education, Culture, Sports, Science and Technology.